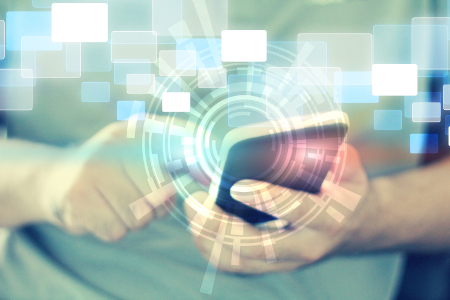 More and more nonprofit organizations are developing mobile apps to engage constituents digitally. Museums are sharing their collections and enabling self-guided tours. Parks and monuments are sharing historical details in an interactive way that deepens a visitor’s experience. Churches and schools are sharing community news and resources to keep people connected beyond the classroom or the pew. The nonprofits that are leveraging the power of mobile engagement are also finding that these apps can be great fundraising tools. There are three basic capabilities that make apps well suited for this purpose. 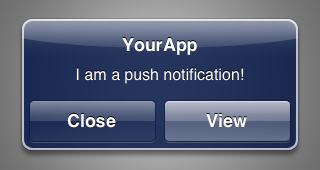 Push notifications deliver information to a phone, tablet or other computing device without the express request of the user. In order to be able to utilize push notifications to reach your audience, you first need people to download and install your app. For some organizations sharing timely information is the key to motivating downloads: breaking news, school closings, modifications to a sports schedule. For other types of organizations, getting people to download an app is all about interactive elements, great images, and educational content that enhances an offline experience. Offer these things, and constituents will want to download your app and opt-in to receive push notifications on installation. Suddenly, you have a fast pass to their attention when you want to deliver timely information, advocacy requests, details for upcoming events, or donation requests. And unlike email, push notifications can’t get caught in SPAM filters. This is the process or technique of identifying the geographic location of a person or device by means of digital information processed via the Internet. It enables an app to know, with good accuracy, where users are at any given time. This technology is critical for apps offering maps or driving directions, but how is it relevant to a nonprofit organization? The answer is not in geolocation alone, but in the combined use of geolocation and push notifications: Geo targeting. Geotargeting push notifications is functionality that enables an app to identify where users are geographically and push relevant information to them based on that location. For example, you may be hosting a fundraising event at your location in Cleveland, OH. You can push reminders to app users in the vicinity, but not to those who are outside of a specified radius of the event. A church or parish may want to encourage parishioners to donate to a particular cause mentioned in the service or bulletin. As people are leaving church, a push notification can reiterate the ask and enable them to donate right there on their mobile devices. A museum might present geo targeted push notifications to app users when they are within a certain radius of the museum to remind them of a short-term visiting exhibit. The relevance and timeliness of this type of communication is exactly what today’s donors expect and appreciate. It can help nonprofit organizations develop better relationships with their constituents and become a valuable fundraising channel. Want to learn more about what an app might do for your organization? CONTACT US.